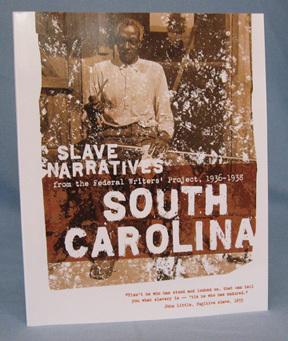 These books are reproductions of the collections of interviews and other narratives from former slaves. They were prepared as part of a Great Depression program. The Works Progress Administration (WPA) offered employment to writiers through the Federal Writers' Project. 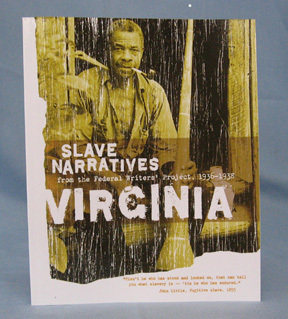 They provide first hand insights about what slave life was like. Of course, we will never know how much the subject's accounts were influenced by what they perceived the writers wished to hear or what the writers' attitudes were. These are copies of the original manuscripts. They are typewritten and contain the original proofreaders' marks and other notes. While some are written as ordinary speech, many are written in the writer's interpretation of dialect speech. The number of pages vary by book from a low of 68 pages for Virginia to a high of 184 for Mississippi. 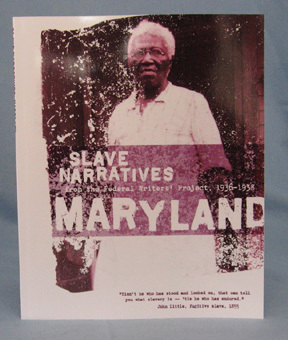 The pages of the books we currently offer are: Maryland - 88 pages; South Carolina - 172 pages: and Virginia - 68 pages. A portion of the proceeds from the sale of these books goes to the Library of Congress.